An interactive round-table platform of discussions, joint consultations and interactive sessions; this exclusive workshop is to learn and discuss how to transform your sales organization into a world class high performing one. The session will cover condensed materials and new methodologies to brainstorm and apply in Today’s world of sales in all industries. It will lead you to uncover your process weaknesses and to unleash your assets’ highest potential to grow your sales revenues. In addition, you will get hold of the HEED Framework for optimized sale efforts and the latest whitepaper study of “2018 IN THE ERA OF SCIENCE INTO SALES, THERE’S NO PLACE FOR INEXPLICABLE INVESTMENTS ”. This event is part of the roundtable concept occuring round the region, facilitated by the gurus of sales and partners in one of the leaders in Sales Management in the region – HEED. Role: Mazen founded HEED in 2011. A recognized company for Integrating Science into Salesalong sales force effectiveness and strategy optimization. He has personally consulted for more than 100 companies in different countries across the region and abroad. Expertise: Mazen’s areas of expertise include sales strategy; sales force effectiveness, structure and deployment, sales analytics, along with training & coaching . He has written 60+ published articles, selected as a speaker in many conferences, and been awarded as the best-in-class Sales Management Consultant for driving companies’ revenues growth to high potentials. Role: Wael combined his mechanical engineering background with his passion of sales to invest in his career and reach to be the principal in applying the analytical mindset in all sales management development projects. 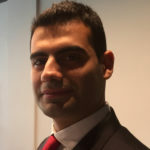 Expertise: Wael’s areas of expertise include sales analytics, data analysis and planning, efforts optimization. He led most projects in the region to transform their business strategies and shift executive mindsets towards scientific decision making. (Early Bird 309 USD before 18th of January 2019).